Over thirty years ago Rotary International made a promise to the children of the world to eradicate polio. This dreadful disease has killed millions and disabled millions more. In the early 20th century, polio was one of the most feared diseases in industrialized countries, paralyzing hundreds of thousands of children every year. Soon after the introduction of effective vaccines in the 1950s and 1960s polio was brought under control and practically eliminated as a public health problem in these countries. The United States became Polio-Free in the 1960’s. Polio was recognized as a major problem in developing countries and in the 1970s, routine immunization was introduced worldwide as part of national immunization programs, helping to control the disease in many developing countries. In 1988, when the Global Polio Eradication Initiative began, polio paralyzed more than 1000 children worldwide every day. Since then, more than 2.5 billion children have been immunized against polio thanks to the cooperation of more than 200 countries and 20 million volunteers, backed by an international investment of more than US$ 9 billion. In 2012, India was certified polio-free and now only Nigeria, Pakistan and Afghanistan have never stopped polio transmission although Nigeria has been polio-free since August 2014. Global incidence of polio cases has decreased by 99% - in 2013, 416 cases were reported for the entire year as opposed to over 350,000 in 1988. In 2004, the Mechanicville Rotary Club initiated an educational program at area schools to help children and parents in understanding the ongoing threat of polio. Purple Pinkies was aimed at teaching children the facts about polio and raising funds for vaccine. 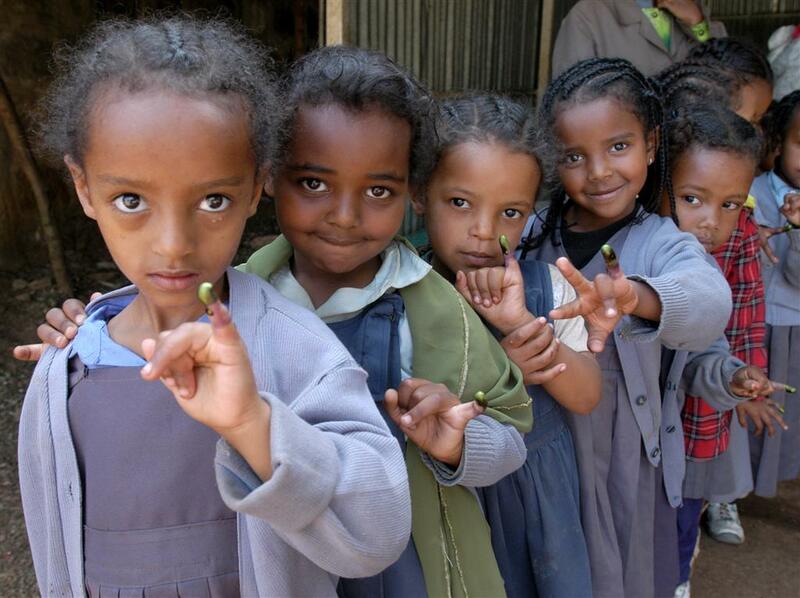 For each $1.00 donation, the cost of a dose of oral polio vaccine, each student has the opportunity to have their pinkie painted purple, the symbol used to identify a child in an endemic country who has received the lifesaving vaccine. This year the Bill and Melinda Gates Foundation will match donations made to Rotary’s polio eradication effort two for one.